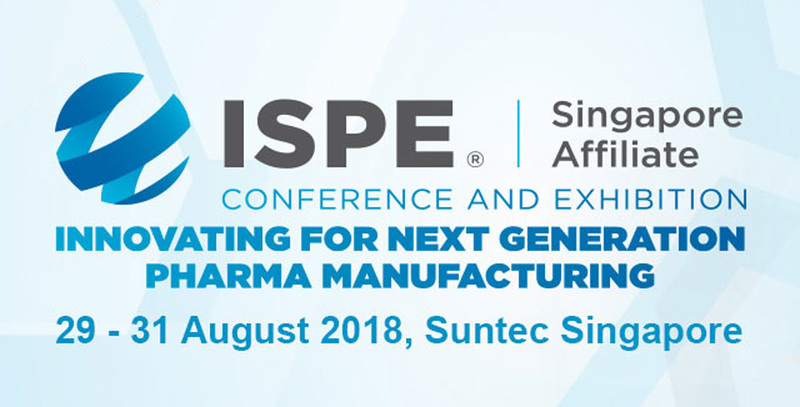 BLP’s Science+Technology Leader Victor De Baets was one of approximately 800 delegates from 25 countries attending the annual ISPE Conference & Exhibition in Singapore last week, bringing together international speakers, representatives, suppliers and professionals active in the South East Asia region. ISPE, the International Society for Pharmaceutical Engineering, is an international professional organisation comprising 18,000 members across 90 countries worldwide. ISPE is one of world’s leading bodies acting on behalf of the Pharmaceutical and Biotech industry with the relevant regulatory authorities governing these sectors, with a focus on providing training & professional networking opportunities. With this year’s conference covering a number of current relevant topics including Pharma 4.0, Logistics and Distribution, Process Validation, Single Use Systems, Sterile and Aseptic Operations and GAMP/Data Integrity, Victor discusses Singapore’s ongoing role in the sector below. ISPE has been active in Singapore for 18 years. For many years it has been a destination of choice for the Pharmaceutical and Biotech Manufacturing sectors. Due to its political stability, well trained talent pool, its central location in SE Asia and an attractive taxation regime, many of the larger MNC’s have chosen Singapore to establish regional HQ’s, R&D Facilities and significant Primary and Secondary Manufacturing Facilities. TUAS Biomedical Park is home to over sixty Manufacturing Plants for the likes of Lonza, GSK, Roche, Novartis and MSD, to name a few. Biopolis, Science Park and the Kent Ridge and Outram Campuses house more than thirty significant R&D Centres and the CBD has over eighty leading Regional Head Quarters. All in all, the Biopharmaceutical industry employs directly over 30,000 employees and 4 of the world’s top ten drugs are manufactured in Singapore. Recent years has seen a slowdown in Biopharmaceutical capital investment. To address this issue, Singapore’s Economic Development Board (EDB) has developed a 4-pronged strategy to help companies meet new trends. This strategy revolves around providing the industry with a well trained pool of talent, appropriate infrastructure and business environment and access to the latest technology. Some of the infrastructure initiatives include providing flexible capacity solutions for manufacturers, pre-built facilities and 50/50 co-sharing of risk in ready for customers Build-in-Advance solutions. Singapore’s EDB commitment and continued investment in the Biopharmaceutical Industry is exemplary, and will ensure its ongoing status as the leading biopharma cluster in Asia.